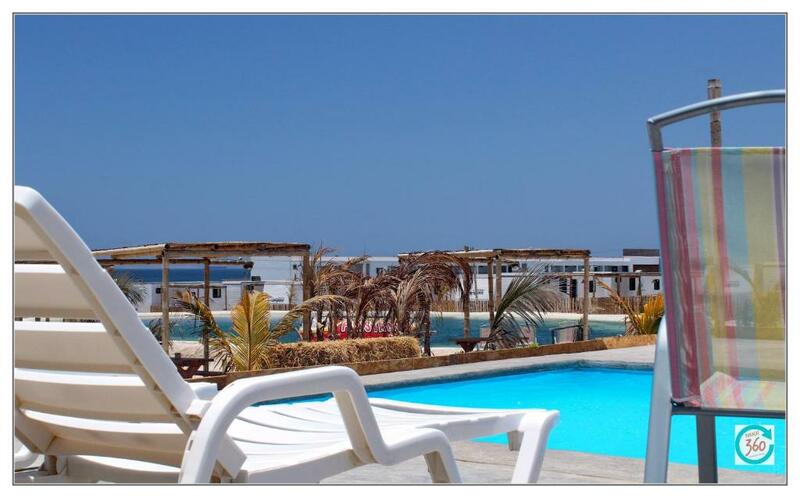 Set in Paracas, 360 Lagoon Hotel has an outdoor swimming pool and BBQ facilities. Among the various facilities are a shared lounge, a bar, as well as on-site dining. Rooms are equipped with a patio. 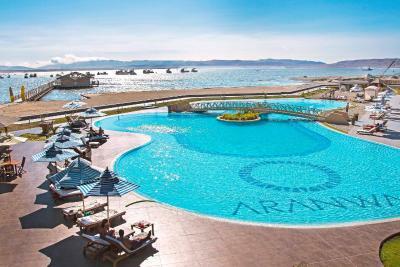 One of our top picks in Paracas – and a guest favourite. 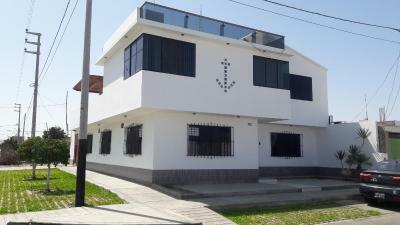 Apartamento Frente a Islas Ballestas offers a terrace, a garden and secured parking. The accommodation units come with a flat-screen TV, a wardrobe, a clothing iron, a kitchen with a microwave and a fridge, and a private bathroom. Apartamento frente al mar - seafront offers free WiFi, a terrace and a shuttle service. The accommodation units come with a flat-screen TV, a wardrobe, a clothing iron, a kitchen with a microwave and a fridge, and a private bathroom. Within 1.8 miles of El Chaco Boardwalk and 3.1 miles of Paracas Port, Apartment with great 1st row ocean view features free WiFi and a private beach area. Guests staying at this apartment have access to a fully equipped kitchen. This property is 5 minutes walk from the beach. This property offers free WiFi and free parking. One of our bestsellers in Paracas! This property is 3 minutes walk from the beach. 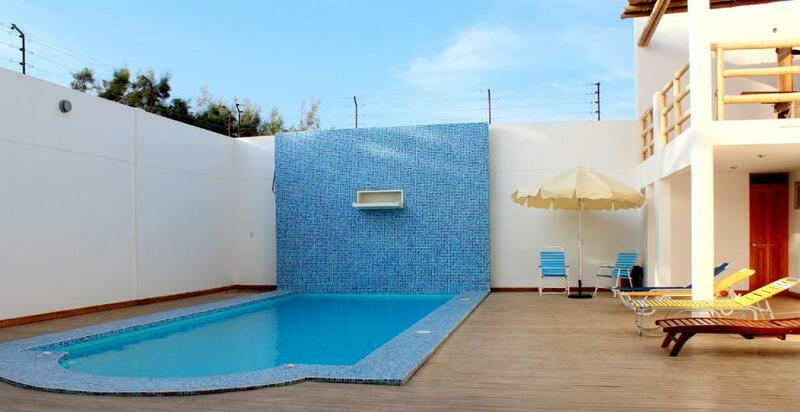 Located steps away from the beach, Atenas Backpacker Hospedaje offers accommodations in Paracas. Free Wi-Fi access is available and guests are offered an optional Continental breakfast daily for an extra fee. 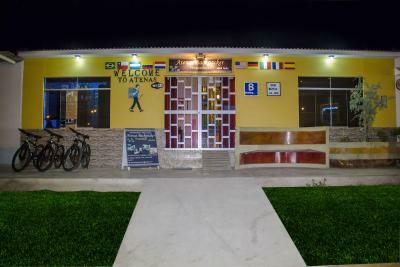 Featuring a 24-hour front desk, Backpacker House Soler offers accommodations in Paracas. Free Wi-Fi access is available here. This property is 3 minutes walk from the beach. Featuring free WiFi, Backpacker the Adventurer offers accommodations in Paracas. This property is 1 minute walk from the beach. Featuring a restaurant, a complimentary Continental breakfast, and free WiFi access, Bamboo Lodge Paracas offers accommodations in Paracas. 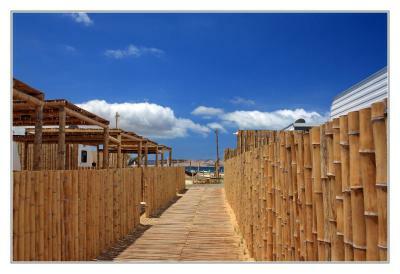 One of our top picks in Paracas. This property is 1 minute walk from the beach. Featuring free WiFi, a year-round outdoor pool and a sun terrace, Bamboo Paracas Resort offers pet-friendly camper bungalows in Paracas. Guests can enjoy the on-site snack bar. Free private parking is available on site. One of our bestsellers in Paracas! This property is 2 minutes walk from the beach. 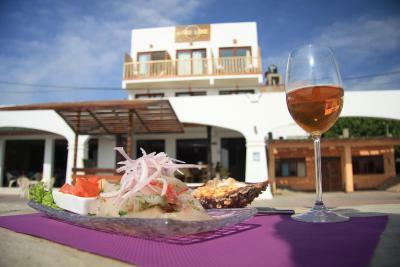 Featuring a restaurant, Brisas de la Bahia Hotel offers accommodations in Paracas. Free WiFi access is available here. El Chaco Beach is 20 yards away. 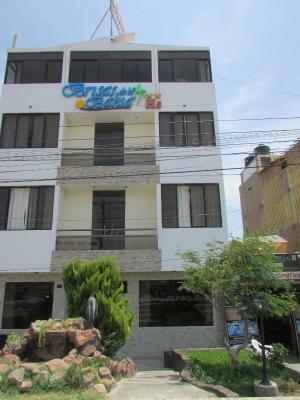 Set within 1,000 yards of El Chaco Boardwalk in Paracas, Caihuayna Apart Hotel offers accommodation with free WiFi, a seating area, a flat-screen TV and a kitchen. Casa en Nuevo Paracas features luggage storage. This holiday home comes with a wardrobe, a flat-screen TV, a dining area, and a kitchen with a fridge and a dining table. Featuring an outdoor pool and an a la carte restaurant, Casa33 Nuevo Paracas - Condominios Náuticos is located in Paracas. This holiday home has a private beach area and is just a 5 minute drive to the city's main square. 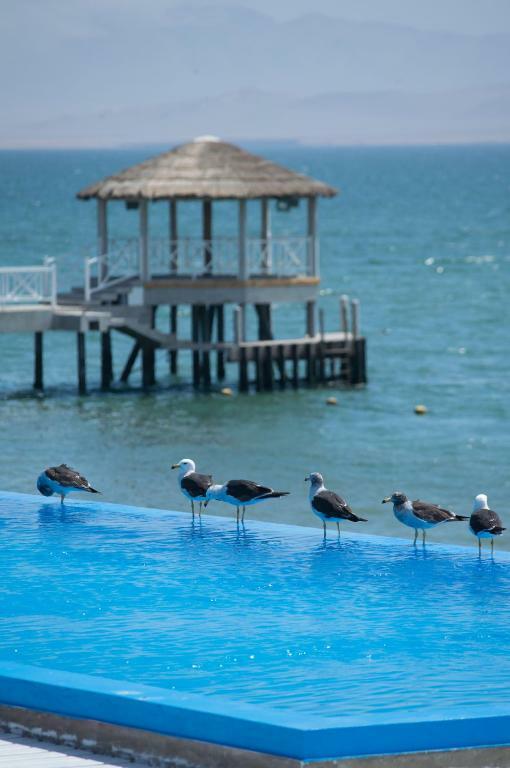 Casablanca Paracas is set in Paracas and features a terrace. The accommodation features a 24-hour front desk, and buying tickets for guests. Featuring an outdoor pool, Departamento Condominio Naútico con vista al mar offers accommodation in Paracas, 1.8 miles from El Chaco Boardwalk and 3.1 miles from Paracas Port. 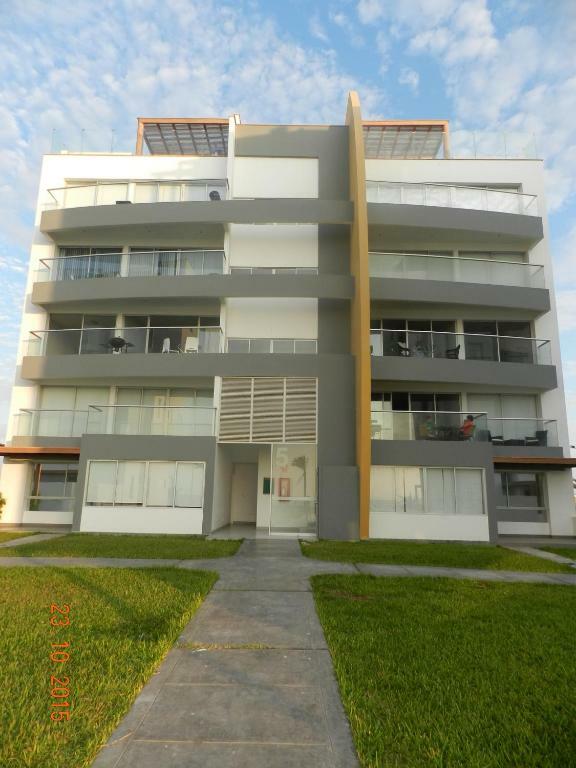 Nuevo Paracas - Condominio Náutico boasts views of the sea and is 4.3 miles from Chandelier.